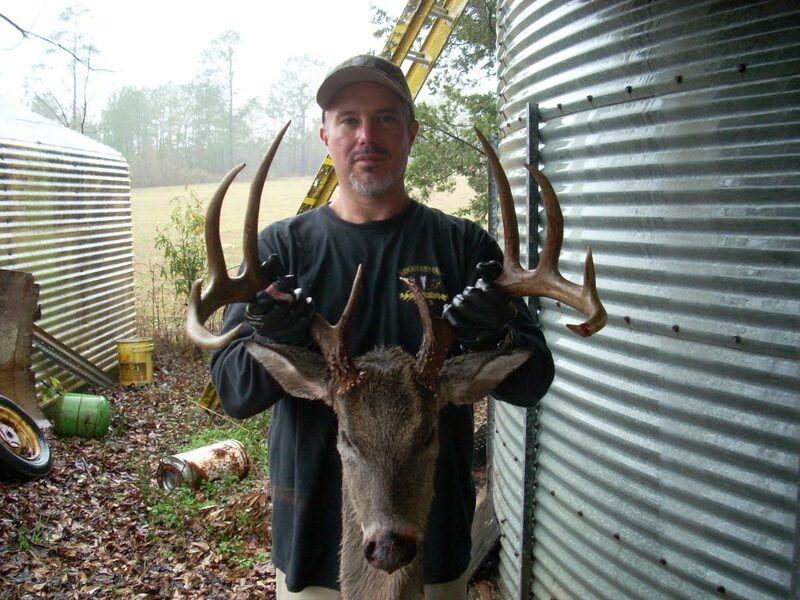 Mike Cox of Chambers County, Alabama harvested this 151 in. 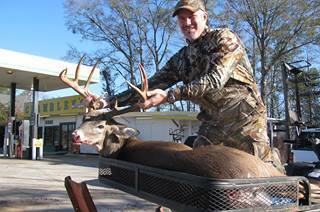 10 point while using DEER HERE Acorn Attractant. Mike states that the buck was following a doe, and she was licking the DEER HERE from leaves and twigs, which had been sprayed earlier as he entered his stand.